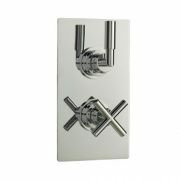 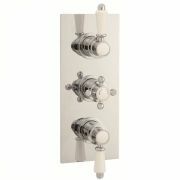 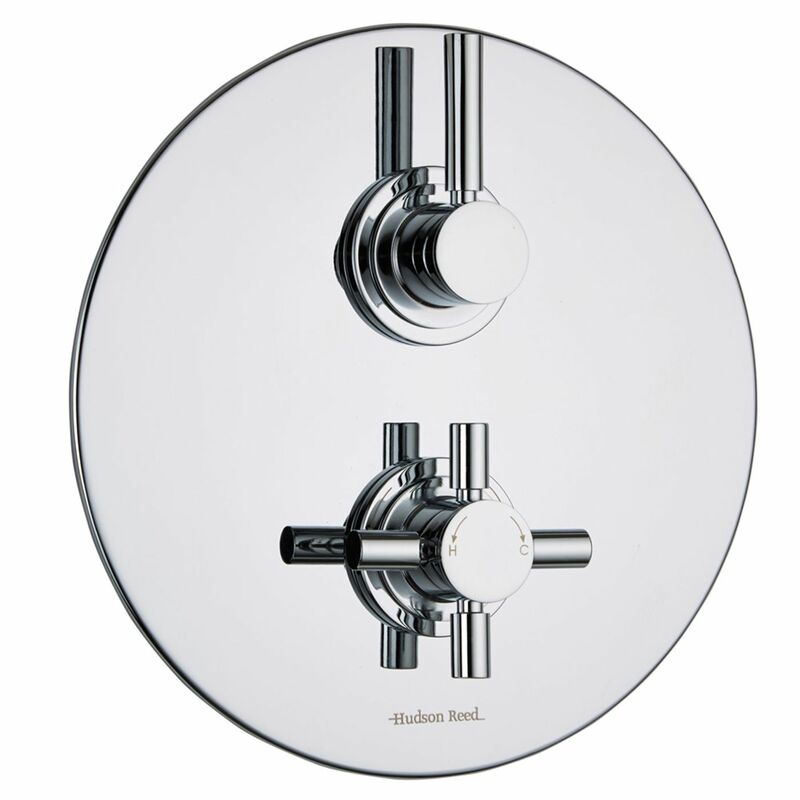 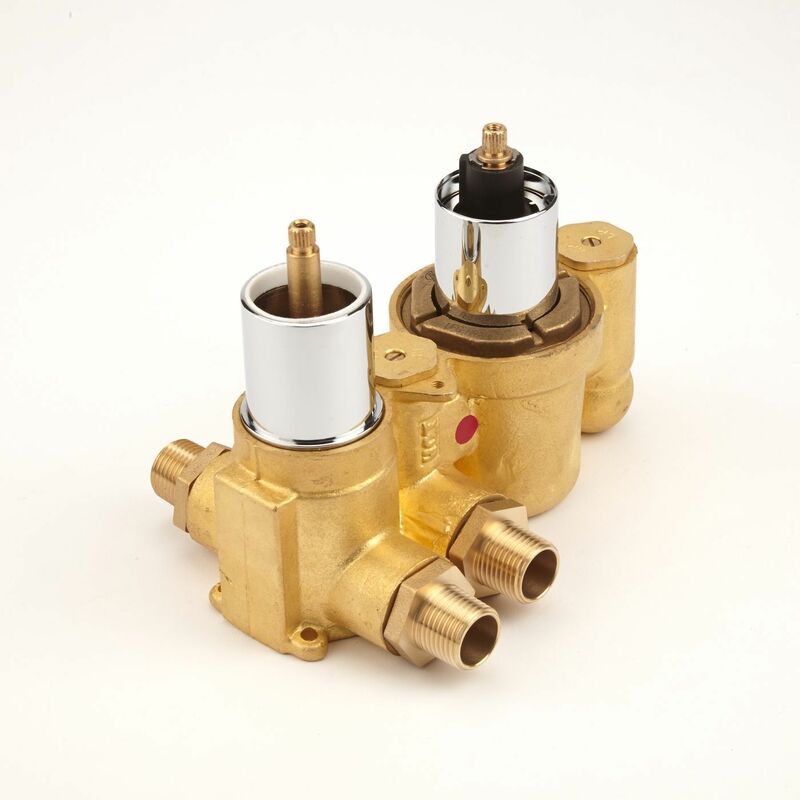 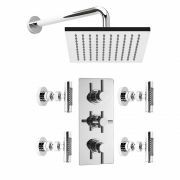 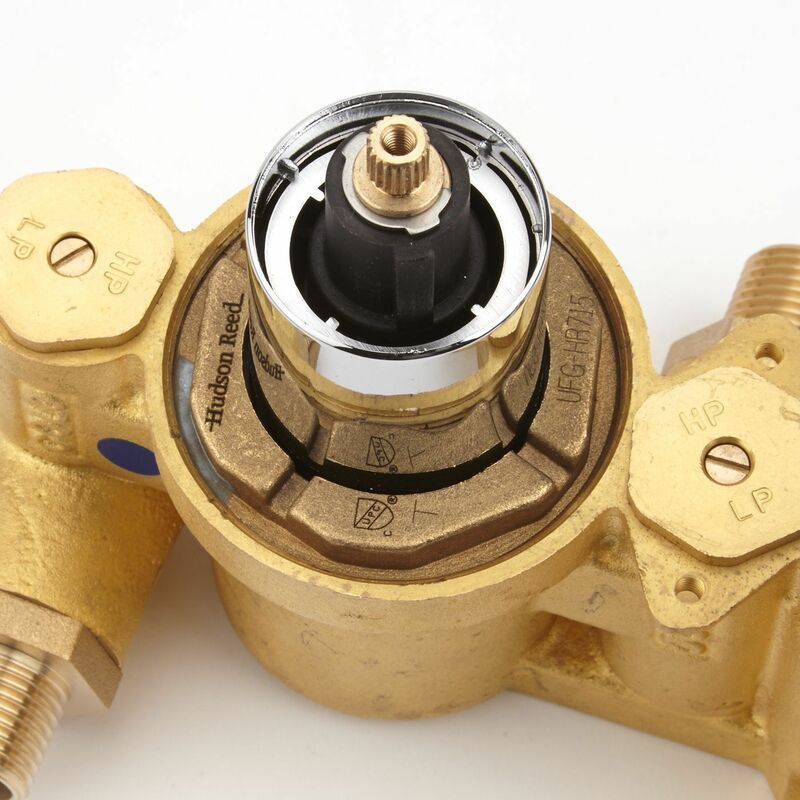 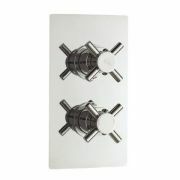 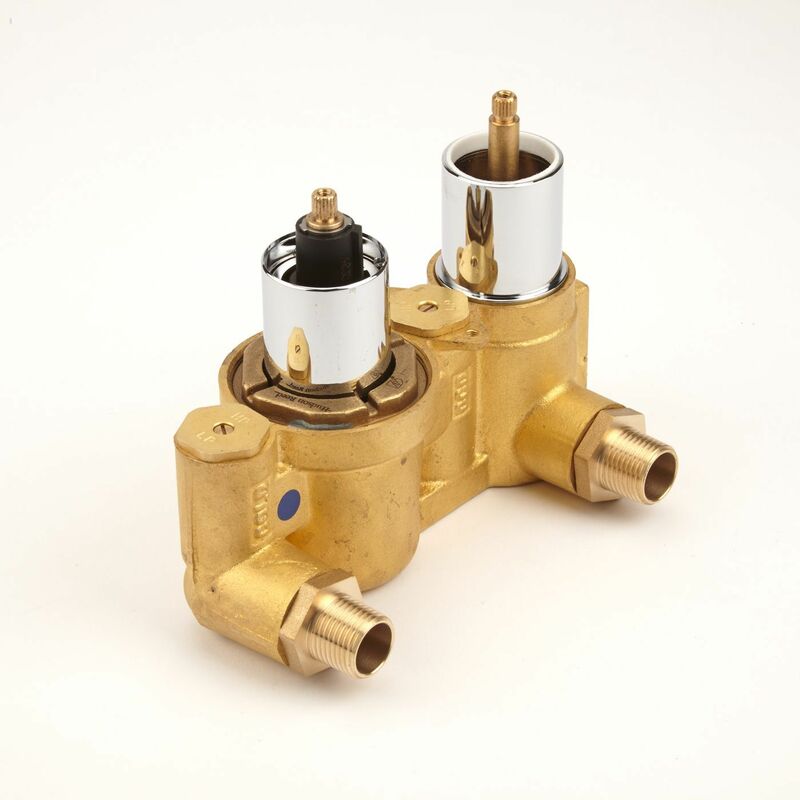 The Hudson Reed Tec twin thermostatic shower valve with diverter has been made in Great Britain from solid brass. 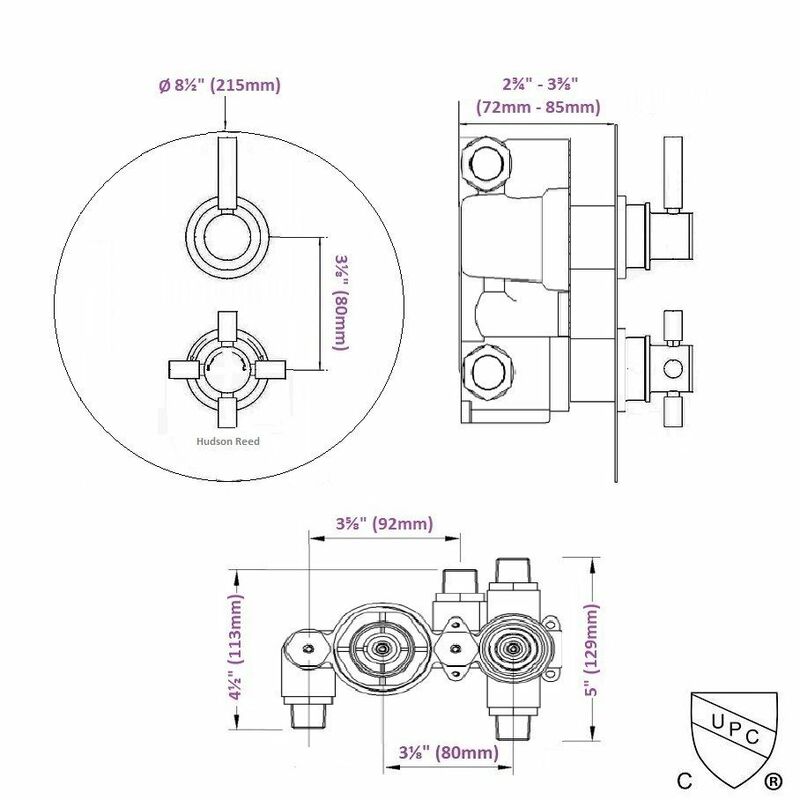 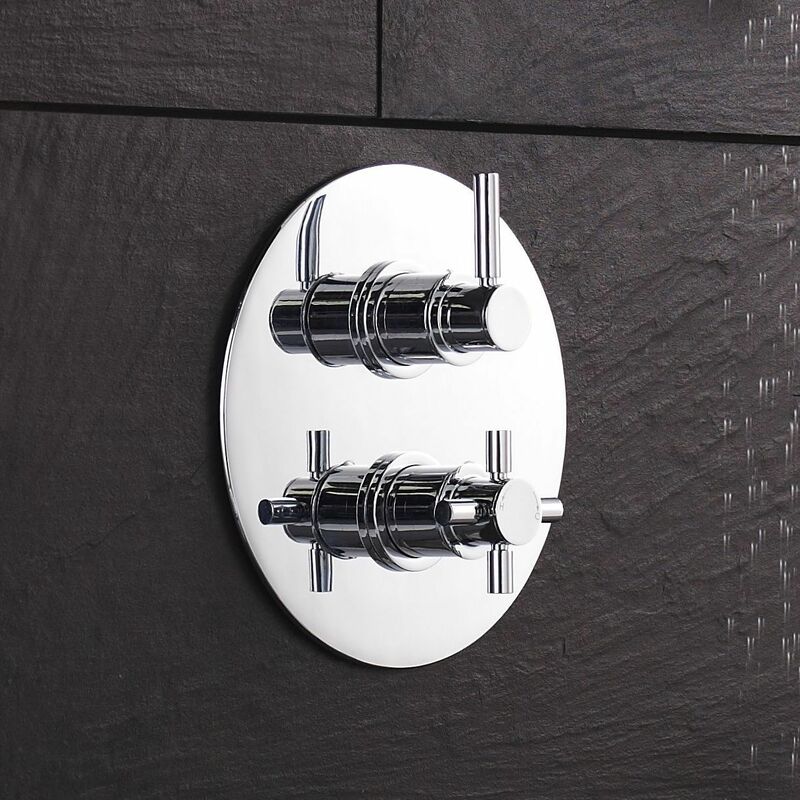 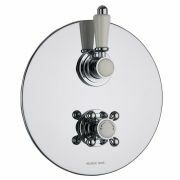 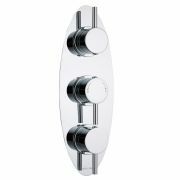 Featuring a round trim plate with a chrome finish, this high quality shower valve incorporates ceramic disc technology, as well as an anti-scald device for peace of mind. 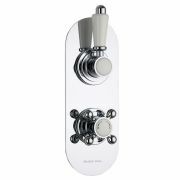 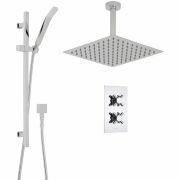 This stylish shower valve supplies water at a pre-set temperature to two outlets such as a fixed shower head and body jets or a tub filler.